Our country faces a teacher shortage, and the confusing patchwork process by which teachers currently earn their certification isn’t helping. Instead, before someone who dreams of heading a classroom of students can consider doing so, that individual must wade through the convoluted licensure system to discern what a specific state requires. And if that teacher moves to another state, it may be necessary to begin the process all over again. 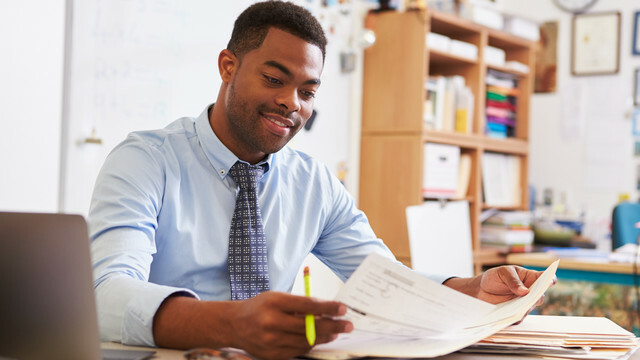 According to a 2014 report from Third Way, there are nearly 600 different teacher licensure exams in use today in our country, with states holding their would-be educators to dramatically different standards in certifying them to helm a classroom. A performance assessment is required in 10 states, a pedagogical skill exam in 29 states, a content knowledge assessment in 47 states, and a basic skills exam in 42 states. Throw into that jumble the complicating factor of alternative certification options, and the result is a paradoxical combination of a maddeningly headache-inducing situation for hopeful teachers—because of the lack of clarity many encounter in the process of earning certification—and a lack of rigor in testing them. According to Third Way, most states grant licenses to teachers who score as low as the 16th percentile in their qualifying exams. This produces an inconsistent process that is challenging—but not in the ways that will ultimately benefit students. Title II of the Higher Education Act forbids the federal government from “establishing or supporting a national system of teacher certification,” ensuring that this process will always be the responsibility of individual states. But much work could be done to make the process simpler, more consistent, and more rigorous across the country while still leaving the details and implementation in the hands of each state—as is currently the case with other professional licensure processes. In a society with a thriving teaching supply, this would be unfortunate, but in a country that faced a shortage of approximately 60,000 teachers in the 2015-16 school year, it’s an unacceptable affront to students, especially those in the most vulnerable populations that bear the greatest brunt of the shortage. The Third Way report offers a solution that strives to be elegant and easily understood in its application across the country so that top-notch teachers in this age of mobility can understand the process to enter the profession and stick around in it even after moving to a new state. The suggestion is a “rigorous, two-step licensure process that assesses both content (subject area knowledge) and performance (the ability to impart that knowledge in front of pupils).” These changes may take time and effort, but seriousness about this issue shouldn’t be compromised. The strength of our education system depends on it.